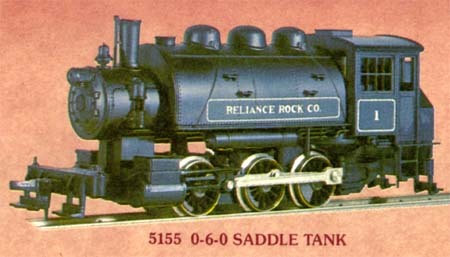 This model was one of at least two saddle tank prototypes sold by AHM. 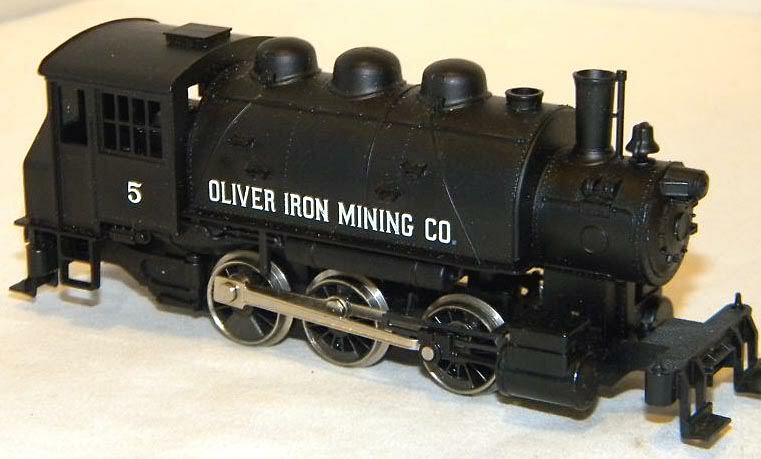 This model came from Rivarossi in Italy, as did most of AHM’s HO-scale steam locomotive releases. 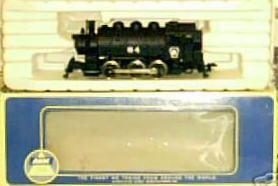 The other saddle tank was a Hong Kong-import made by Kader and also sold in Bachmann’s line in the 1970s. Railroad Model Craftsman’s “Test Track” column in the magazine’s February 1973 issue features a review of AHM’s HO-scale Saddel Tank 0-6-0 steam locomotive model. A reference is made to an uncertain prototype for this steam engine, but the review is favorable to this model other attributes. The debut retail in 1973 is listed as $11.98 with Baltimore & Ohio, New York Central, Pennsylvania Railroad, and Santa Fe, as well as two industrial companies (Oliver Iron Mining and Reliable Rock Co.) listed as available road names. 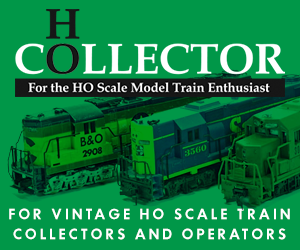 This model is part of IHC Hobby’s offerings in the 1980s. A 1983 ad states Rivarossi’s model reproduces Reliance Rock Co.’s No. 1 example built by American (presumably referring to Alco). The 1983 IHC offering included Reliance Rock Co. No. 1 (#1286, MSRP: $29.98).